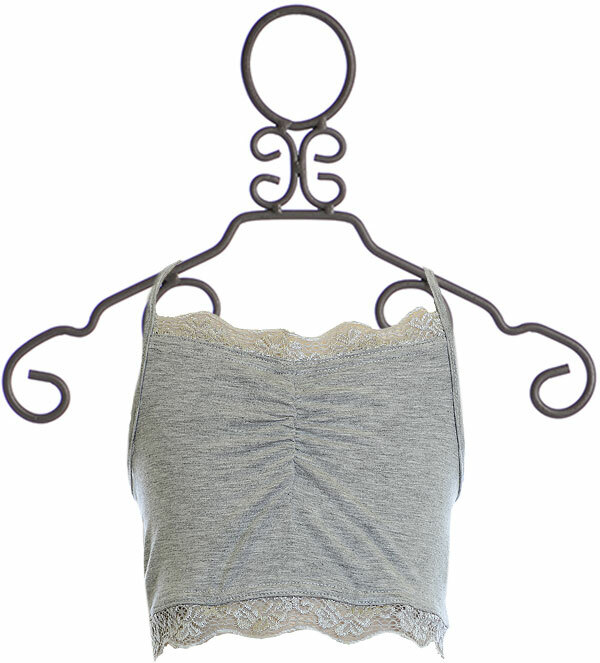 $12 - A must have layering piece, this new tween bralette is from the trendy LA based brand, PPLA. The bralette features racerback straps, a cute style beneath so many of her tops. Light grey is the perfect neutral color to wear with so many pieces already found in her closet. Touches of lace can be found on her back, at the hem and at the V neckline. Gathers create the scoop neckline and add a cute design element.